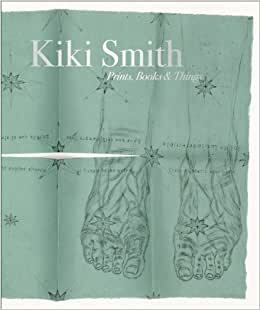 Kiki Smith: Prints, Books, and Things is the most complete survey yet of Smith's printed art. Published to accompany an exhibition at The Museum of Modern Art, New York, in the winter of 2003-4, it contains 137 color plates documenting her work in the medium, beginning with her first screenprint, made in 1980, and including works that were in progress as this book was being written. Also featured is an eight-page printed work that Smith created especially for the book. An innovative experimenter, Smith has investigated many kinds of printmaking, from traditional techniques such as etching and lithography to newer, simpler processes such as rubber stamp and photocopy, not to mention artist's books and multiples including blankets and fabric dolls. The reader aware of her sculpture will find much to recognize in these works, with their imagery of the body, of animals and birds, and of the iconography of women, but her printed art develops these themes in ways unique to itself - as Wendy Weitman, Curator in the Museum's Department of Prints and Illustrated Books and the organizer of the exhibition, explains in a comprehensive essay. Kiki Smith: Prints, Books, and Things offers a crucial record of an underacknowledged side of Smith's work. In doing so, it argues powerfully for the importance of printmaking in contemporary art. Kiki Smith is an amazing artist. This book gives you an insight into her work and her processes. Well worth the read! Nice sampling of works from Smith's earlier, and more interesting period, exemplified by dark, profound myth. A wonderful visual timeline of her work, including early commercial ventures and later installations. I bought it because I'm a print maker and I was delighted with both the written and visual images of her prints and installations.